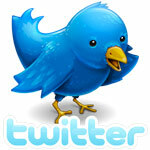 There was no Cruise Examiner column last week because of overseas travel, but in the meantime there has been much news. First off, the new Holland America Group announced that its Ryndam and Statendam would be transferred to P&O Cruises Australia. Then MSC Cruises announced an order for two cruise ships of a new design from Fincantieri – this is in addition to the two ships it recently ordered from STX France. Costa Cruises Group announced what appears to be the end to its Spanish-based brand Iberocruceros, with its ships apparently now to be absorbed into Costa Cruises. And Saga Cruises will start taking allocations on certain Fred Olsen cruises. We also look at the potential for one or two of Royal Caribbean’s new Oasis class ships to go to either Europe or Asia and the Institute for Shipboard Education announces that it is this month withdrawing the Explorer from the shorter-duration cruise. Unusually, as such stories usually break in February during the annual Cruise Shipping Miami convention, a number of pieces of news broke in late May that confirm some interesting changes in cruise shipping markets. The first piece of news was the announcement by Holland America Line that it will transfer its Ryndam and Statendam, the first two ships of its “S” class to its newly-acquired brand P&O Cruises Australia, which along with Princess Cruises and Seabourn is now part of the Pacific-based Holland America Group. 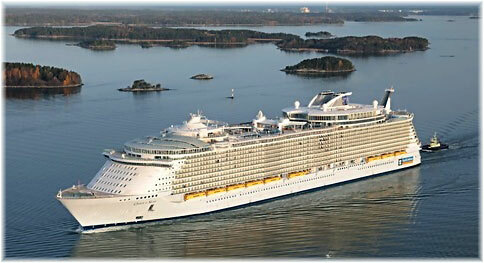 As has been reported by The Cruise Examiner in the past, the Australian market has been growing by leaps and bounds. And now, the original three-ship Italian-designed Sitmar Cruises newbuild fleet first acquired by P&O Princess Cruises in 1988 and now working for P&O Australia, will be expanded in late 2015 by the addition of another pair of Italian-designed ships that feature many of the same facilities offered in the existing fleet. The second piece of interesting news is the announcement by MSC Cruises that it has ordered a pair of 4,140-berth 154,000-ton ships from Fincantieri for completion to a new design and delivery in 2017 and 2018. As MSC had already ordered two 167,600-ton 4,500-berth ships from its usual builder STX France for delivery in 2017 and 2019, the latest news sees both French- and Italian-built ships joining the fleet over the same period. As predicted by The Cruise Examiner, the new French-built ships will incorporate an interior promenade, similar to those first adopted by Royal Caribbean from Finland’s Silja Line night ferries, but the new Fincantieri ships will be of a completely new design. They will be the largest cruise ships to be completed by Fincantieri and will employ a new cantilever design that will give them extra deck space on a circular promenade called the Seaside, off which will be located shops and restaurants. Like the newest French-built ships, the Italian-built vessels will be shorter and wider than MSC’s existing 3,274-berth Fantasia class ships. 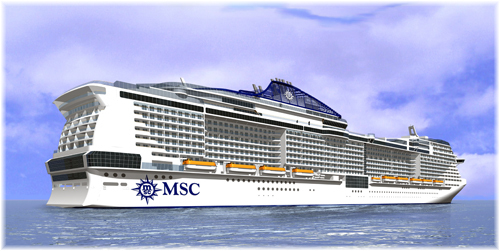 MSC also holds options for two more of the 4,500-berth ships from STX France and a third of the 4,140-berth types from Fincantieri. Delivery of the new ships should confirm MSC Cruises as third in the cruise world after the Carnival and Royal Caribbean groups. At the same time, Costa Cruises announced that it would be closing down its Iberocruceros operation in Spain, something that has been taking place anyway as Ibero’s accounting and booking functions have been gradually transferred to Genoa and its fleet taken over bit by bit by Costa Cruises. The 1,494-berth Grand Celebration will be the next to join Costa, when she becomes the Costa Celebration this November. Her Ibero markings were painted out last month in preparation for the transfer. The Grand Celebration follows the 840-berth Grand Voyager, renamed Costa Voyager in 2011 and since sold on to Chinese owners, and the 1,196-berth Grand Mistral of 2013, now trading as the Costa neoRiviera. Presumably, Iberocruceros’ Spanish officers and crew are being offered new positions within the Costa fleet. This leaves only the fate of the 1,452-berth Grand Holiday to be decided but it now appears that the Iberocruceros brand is indeed doomed. While the Iberocruceros fleet was Iberian-registered, in Portugal rather than in Spain, it now appears that they will follow the ships of Germany’s Aida Cruises into Italian registry at Genoa. Finally, most recently, Saga has announced that in addition to booking passengers on its own 706-berth Saga Sapphire and 456-berth Saga Pearl II, it will begin taking allocations on certain non-competitive departures of Fred. 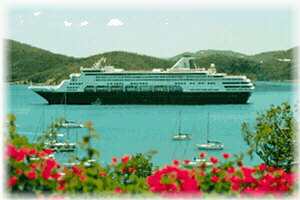 Olsen Cruise Line’s 1,747-berth Balmoral, 804-berth Black Watch, 839-berth Boudicca and 930-berth Braemar. Saga has not had this kind of arrangement on any significant scale since it booked was P&O Cruises’ largest customer during the 1990s. Five years after welcoming the world’s largest cruise ship, Royal Caribbean International announced last month, on the event of the keel-laying for Oasis 3, that it had ordered a fourth edition of the mega-ship, the world’s largest and capable of carrying more than 6,000 passengers with all berths filled. The third 5,400-lower berth ship, sister of Oasis and Allure of the Seas, will join Royal Caribbean International in 2016 and the latest order, which is still subject to finance, in 2018. Oasis and Allure each cost $1.4 billion and the new ships are expected to cost in the range of $1.35 to $1.5 billion each. While delivery will be almost a decade after the Oasis of the Seas, STX France has recently negotiated labour productivity increases with its work force. Where Oasis 3 and Oasis 4 will be based is still not known. Oasis and Allure are both based year-round in Port Everglades, but Royal Caribbean has said it wants Miami to make a case to host the ships once the agreement with the Fort Lauderdale port expires in 2018. Oasis of the Seas is offering offer three European sailings this summer, while Allure of the Seas will spend a good part of the summer of 2015 in Europe. While both these European programs are related to five-year drydockings they do offer Royal Caribbean an opportunity to test the European market for such a large ship. Royal Caribbean surprised observers with the recent announcement that its brand-new 4,180-passenger Quantum of the Seas, first of a new class due later this year, would be based in China year-round after a short season sailing from in New York. 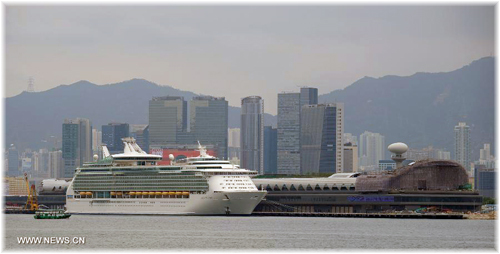 Royal Caribbean is already offering seasonal China-based cruises in two of its original giant ships, the 3,114-berth (3,840 with al berths full) Explorer of the Seas and Mariner of the Seas. With four Oasis class ships it would not be a surprise to see some of them used at least on a seasonal basis in non-US waters. The University of Virginia’s Institute for Shipboard Education (ISE) is discontinuing its Enrichment Voyage cruise program following the May 18-June 15 Iron & Ice voyage from Hamburg to Southampton via Iceland. The vessel left Stockholm on Sunday on the final leg of her last Enrichment Voyage cruise, which will arrive in Southampton on Sunday, June 15. These Enrichment Voyages have generally taken place between the longer Semester at sea voyages and typically lasted just two or three weeks. In addition, the Tropics & Transit Enrichment Voyage scheduled for December 2014, has now been cancelled. Discontinuation of the Enrichment Voyage short cruise program will allow ISE to refocus efforts on its core business, the Semester at Sea. 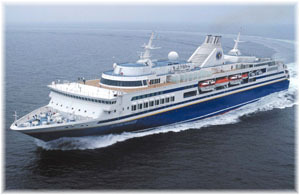 The Explorer is managed by V. Ships Leisure of Monaco. As mentioned above, her sister ship Voyager was recently sold by Costa Cruises to the Bohai Ferry Company for a new China-based cruise operation.